I was under the care of Dr. Poornima during my pregnancy period at Apollo Cradle. I simply say Wow! I had a great experience there and choosing this place is worthy. I loved the food served there. All the staff members were very kind. I was admitted to Apollo Cradle under the observation of Dr. Poornima. She is a wonderful person on whom we can blindly rely upon for safe delivery. She made me experience the best days of my life. There were no complications during the pregnancy as I was keenly monitored and thoroughly checked for unusual signs of pregnancy. Her skills and expertise made me her fan. A huge applause also for the other Apollo Cradle team for best services. We had a positive experience from our first appointment at Cradle Jayanagar and throughout till I delivered my baby at the facility. Many thanks to my doctor and entire Cradle Jayanagar team. I’ d like to take a moment to thank the staff of Apollo Cradle, Koramangala for a most pleasant time I had during my delivery in October. I had an excellent doctor – Dr. Poornima Ramakrishna, who made my normal delivery possible and the whole birthing experience memorable. Dr. Poornima R was excellent, Thanks doctor and whole team at Jayanagar Cradle Overall Excellent Service. I delivered my baby with Dr. Poornima R who is part of Cradle Jayanagar. I liked loved everything about Cradle right admission to discharge. Wonderful experience in Apollo Cradle Jayanagar. Special thanks to my doctor Dr. Poornima who was very great all through my pregnancy and also thanks to every staff. Thanks Dr Poornima at Apollo Cradle for excellent care taken during my pregnancy and delivery. Nursing care was great, special thanks Sister Michelle who took care of me. I would also take opportunity to thank Physiotherapist and yoga expert Dr. Shagfuta who has very god knowledge and took care of me during the classes and post delivery. 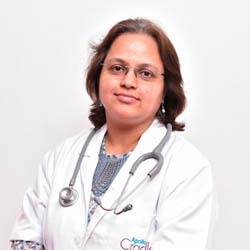 My doctor was Dr. Poornima R who is practicing at Apollo Cradle (Jayanagar) Overall Excellent Service. Sincere and heartfelt thanks to you all for having helped us delivery our first baby girl. It has been an incredible experience for the last nine months during when Apollo Cradle assisted us at every juncture. Kudos to Dr Poornima R for being a god sent. Both me and my wife would be indebted to her lifelong for the immensely adept services, her professional generosity and focus. Was very impressed by the service given to me during my consultation and delivery at Cradle Jayanagar. Special mention Dr Shagufta for the yoga and labour classes, these classes helped me a lot during pregnancy and delivery. My doctor Dr. Poornima was very supportive all through my pregnancy. Special thanks to Ms Naseem and Ms. Poulami for all the help. I extremely happy to get such a nice &amp Professional support by everyone in Jayanagar Apollo Cradle thanks for giving care &amp Support once again. Special thanks to my doctor. I delivered my baby at Apollo Cradle, Jayanagar with Dr. Poornima. I am impressed by excellent are given by the Cradle Team. Amazing facility and team; Keep up the good work. Delivered at Apollo Cradle with Dr Poornima. Experience was very great Nursing Service best I have seen anywhere. All the staff cordial & co-operative. Thank you to Dr. Poornima Ramakrishna and Cradle Team. Very happy with Good Service offered at Apollo Jayanagar. Great experience with Dr. Poornima at Cradle Jayanagar Thanks doctor and team were excellent. Dr. Poornima Ramakrishna Apollo Cradle Koramangala is simply extraordinary. Also, excellent nursing staff who helped us round the clock. And sincere thanks to the housekeeping staff as well who helped us all throughout our stay. Great place, awesome facilities, super care and best people @ Apollo Cradle Koramangala. Dr Poornima & Dr Dianawerejust brilliant. Thanks to them for all the support. all nurses others were too good. Amazing set of people. The experience we had withApolloCradlehasbeen very good. The one thing which stood out is the amazing set of care givers (nurses) you have at Apollo. I liked loved everything about cradle right admission to discharge. Wonderful experience in Apollo Jayanagar .Thanks to my doctor Dr Poornima. Attended the baby shower last month – Thanks Priya and Naseem for organising such programs.